2 bedrooms, 2 bathrooms (1 on-suite with bathtub and the another one with shower), american kitchen with bar, living and dining room, large southfacing terraces with BBQ & Bar and areas of lush grass and palms, big private pool (8x14m) with feature waterfall and a very shallow beach zone, Thai Chillout Bed, Jacuzzi/Spa for 5 persons, storage room. Free WIFI internet connection. 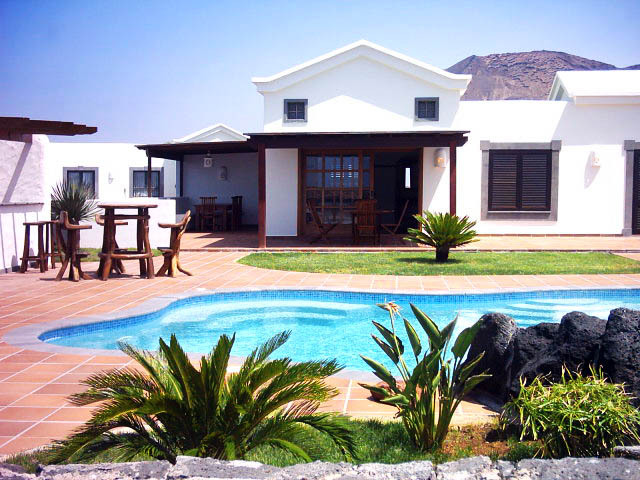 Spectacular villa with 3 bedrooms and 3 bathrooms located 600m from Marina Rubicon Harbour. Equipped with high quality furniture, marble floors, air conditioning and heating. 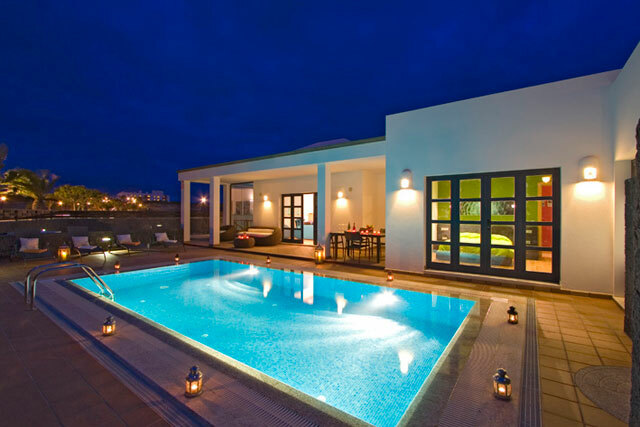 The terrace provides a BBQ place, with a sink, glass and iron terrace table for 6 guests, chairs with comfortable cushions, individual sun beds and a wonderful hated saltwater swimming pool. Free WIFI.